Power Tools are time saving convenient devices that assist us in building and maintaining our World. However it also contributes to large amount of injuries recorded in Australia every year. Many of these injuries are often easily avoidable and attributed to carelessness, a lack of proper tool maintenance or simply not reading the operating instructions. Always wear the appropriate safety gear, particularly safety eye wear. Flying shards and debris create unpredictable trajectories and a sudden occurrence can not only cause damage to your eyes but force you to loose control of the powered tool you’re operating. In addition to eye wear, workplace noise is also often overlooked. However the cumulative time of exposure to above normal decibel levels in the workplace can do irreversible damage to your hearing. Other safety gear such as gloves and appropriate clothing/ safety footwear are just as important, and should be part of formal personnel safety plans. Being unfamiliar with the safe operation of the power is often the cause of power tool injuries. Before using anew power tool ensure you read the operation, safety and maintenance instructions of the particular tool. The key here is to familiarize both yourself and your team with new equipment when it is introduced to the fleet or job. In particular, built in safety devices and kill switches should be highlighted. Remember to also use a RCD power breaker/power board when working with high powered tools. When workers use portable power tools and electrical leads that are electrically faulty or damaged they may suffer electrical shock, which could result in death, heart problems, internal organ damage or burns. 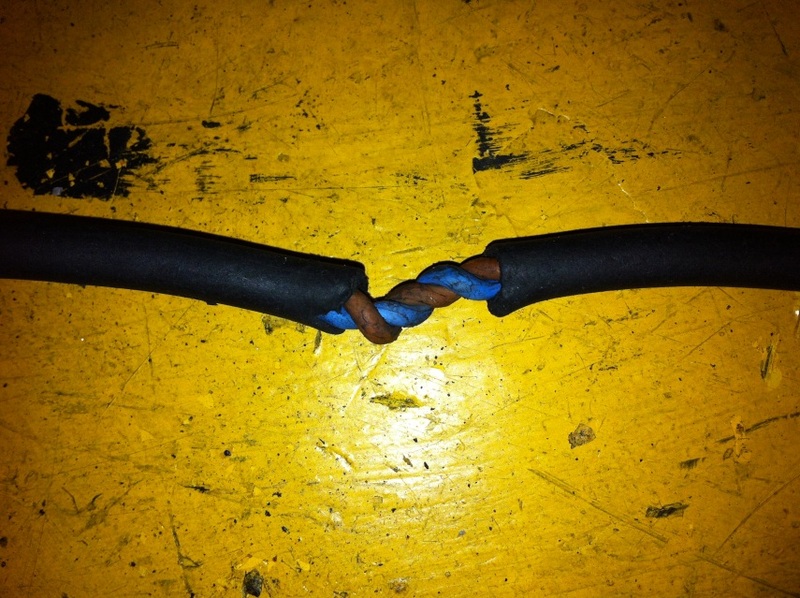 To reduce risk of injury or death, electrical leads and power tools should be visually inspected prior to use, and avoided if equipment appears to have been modified or damaged. Tools should only be plugged into socket outlets that are protected by a residual current device (RCD) or a portable RCD is used. Workers should ensure power circuits are protected by the appropriate rated fuse or circuit breaker to prevent overloading and potential overheating. Electrical leads should be arranged so they do not run across the floor or ground, through doorways and over sharp edges. Where the lead arrangement is dangerous, lead stands or insulated cable hangers should be used to keep leads off the ground. Leads and tools should never be used in damp conditions unless they are specially designed for use in those conditions. Ensure your Tools are Tested and Tagged regularly to pick up electrical faults and potential hazards. It’s important to report all accidents and injuries in the workplace. This not only creates a culture of continuous learning, but also helps to future proof against lengthy compensation claims. In South Australia, It is a legal obligation to notify Safe-Work SA of any work-related injury that requires treatment as an inpatient in a hospital immediately after a workplace injury (disregarding any time taken for emergency treatment or to get the person to hospital).If you are reporting work-related injuries or incidents to Safe-Work SA the 24 hour Emergency, Dial 1800 777 209.